Bright Starts Co-operative Early Learning Centre Inc. (CELC) opened January of 2014, providing high-quality early learning and child care to the University of Waterloo (UW) faculty, staff, students, and the surrounding Region. 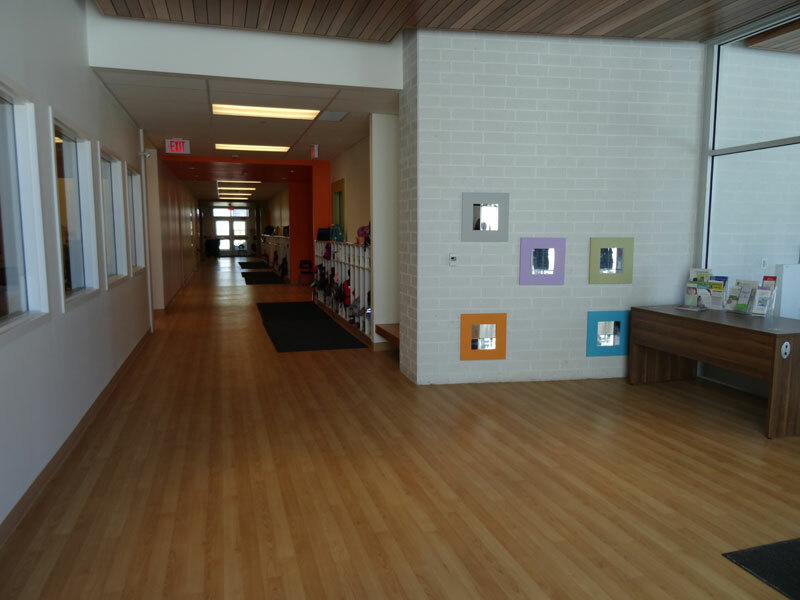 Located on the North Campus of the University of Waterloo behind the Optometry building at the corner of Columbia St. and Hagey Blvd., Bright Starts is an amalgamation of three of UW’s long-time standing child care centres, Hildegard Marsden Nursery, Klemmer Farmhouse and Paintin’ Place. In October 2009, the University of Waterloo announced a commitment to build a new child care facility on campus. Shortly thereafter, a vote was held and child care families from all 3 centres agreed to amalgamate. Reasons for the amalgamation included the need for better facilities, proposed expansion/construction plans for UW involving the land currently occupied by the centres, and the much-needed creation of more child care spaces. The 3 child care centres elected amongst its members, 3 individuals from each centre to create a Board of Directors for this new facility followed by representation from UW’s Faculty, Staff and Grad Associations. Bright Starts became incorporated under the Ontario Co-operative Corporations Act in July 2011. After much planning and careful consideration, and the collaboration and support of many wonderful partners and Bright Starts’ volunteers, Bright Starts was open for occupancy January 6, 2014, and became a registered charity August 26, 2016. Bright Starts has a licensed capacity to care for 160 children aged 3 months – 5 years. Our programs are fully licensed and inspected by the Ministry of Education, Child Care Quality Assurance & Licensing Early Learning Division, the Waterloo Region Public Health Unit and the Waterloo Regional Fire Department.